accordingly, is the raison d’être of a health-insurance company….Congress is effectively making private insurers unnecessary, yet continuing to insist that we can’t do without them. The truth is that we could do just fine without them: an insurance system with community rating and universal access has no need of private insurers. I agree, and it’s one of the reasons that, warts and all, I support the current healthcare reform legislation so strongly. My take is that community rating at the national level can eventually lead to only two outcomes: (a) the end of private health insurance completely1 or (b) the transformation of private insurers into regulated public utilities. Roughly speaking, Option A is what you see in Canada or Sweden, Option B is what you see in Germany and the Netherlands. I’d prefer the former, but the regulated utility model works OK too, and it’s hard to see how you avoid one or the other in the long run. It would be nice to have a public option in the current legislation since it would probably speed up the process I’m talking about. But Surowiecki is right: community rating plus universal access makes private insurers obsolete. Soon they’ll be doing nothing but basic administrative work, and within a few years this will become too obvious to ignore. At that point, Congress will either enact a public option that eventually grows large enough to put private insurance out of business, or else regulation of the private industry will grow to the point where it becomes a nonissue. It’s too bad we’ll have to wait so long for this to happen, but today’s healthcare legislation puts it on the road to inevitability. 1That is, its end as a primary health insurer. 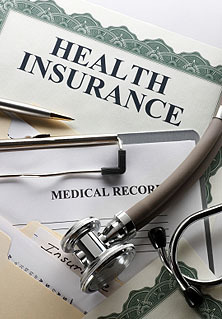 Private insurers will likely stay around to provide supplementary or specialized coverage.